Soccajoeys Website Design & Development. Liquid Logic has revamped the look and feel of Soccajoeys to be polished, responsive and integrate with a marketing automation platform, a booking system and analytics software. 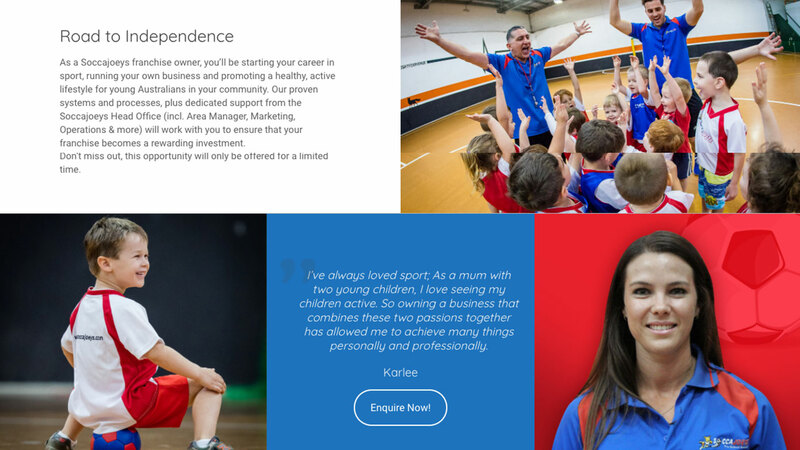 We based the new look and feel on the brand’s logo colour and developed a colour palette that reflects the brand’s jersey colours that the children wear and the followed through with the theme into every minute detail. 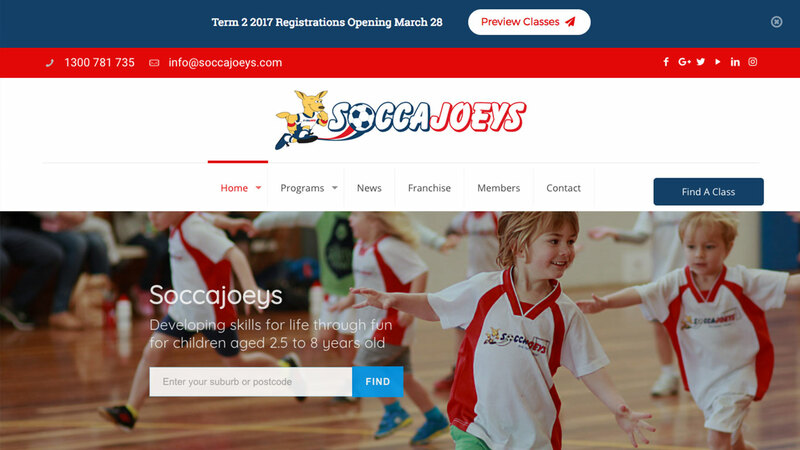 The previous Soccajoeys website was many years old and in need of an update that takes advantage of latest web and marketing standards. Most importantly, it needed to become mobile responsive. Liquid Logic designed and developed the new website’s front end look and feel as well as the backend booking system. The website is responsive, integrates with marketing automation software, tracking platforms and booking systems. 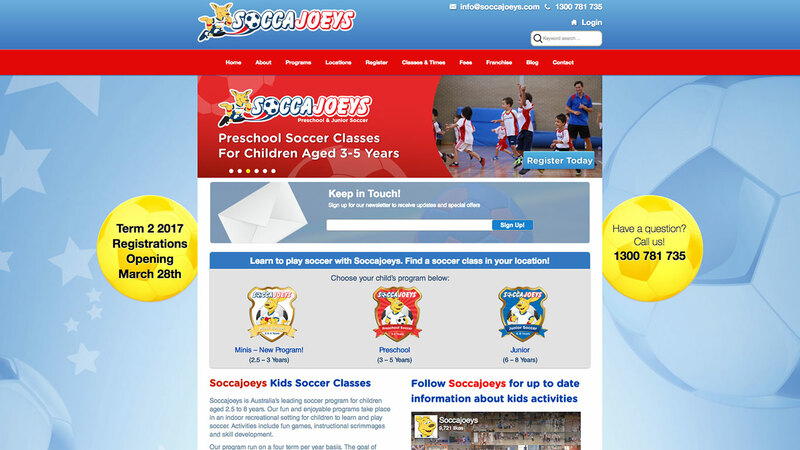 Sign up your children to a Soccajoeys program! 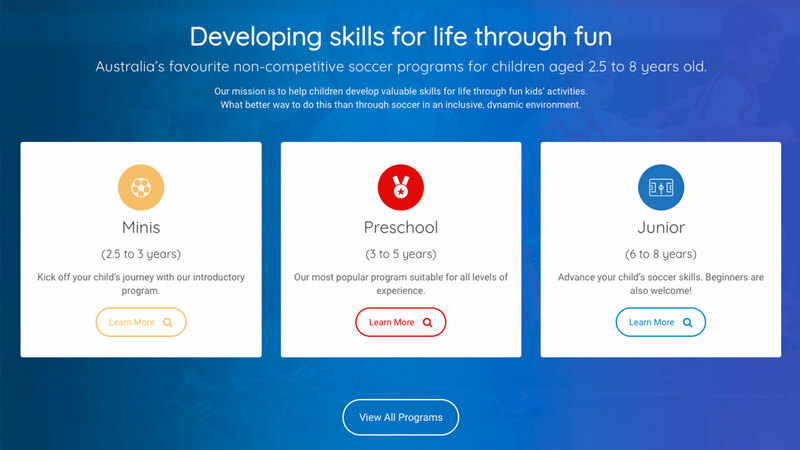 Australia’s most loved indoor soccer programs!